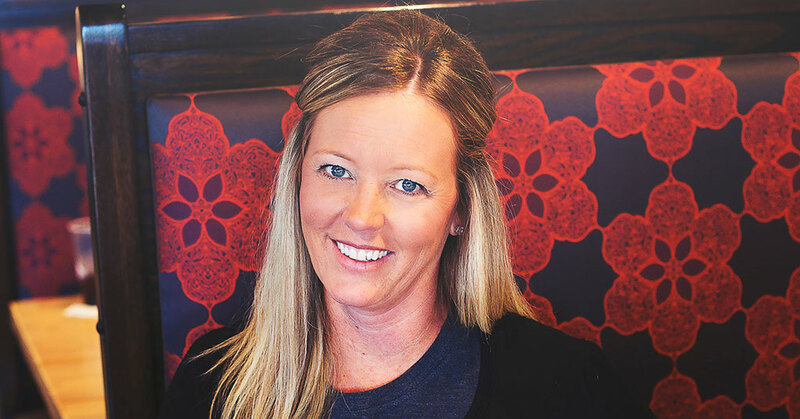 Tracy Bouwens was a stay-at-home mom who never stayed home in Omaha when her discovery of Scooter's Coffee piqued her entrepreneurial instincts. "The coffee industry was exploding and that was intriguing to me, so I began to explore and research the industry. This was about the time that Scooter's, headquartered in Omaha, began franchising," she says. "I met with the founder and fell in love with the concept and with him and his family and knew it was a great fit." In 2004, she and her husband purchased their first Scooter's Coffee shop in Omaha. Within six months, they'd decided to move to Kansas City as area developers for the brand. 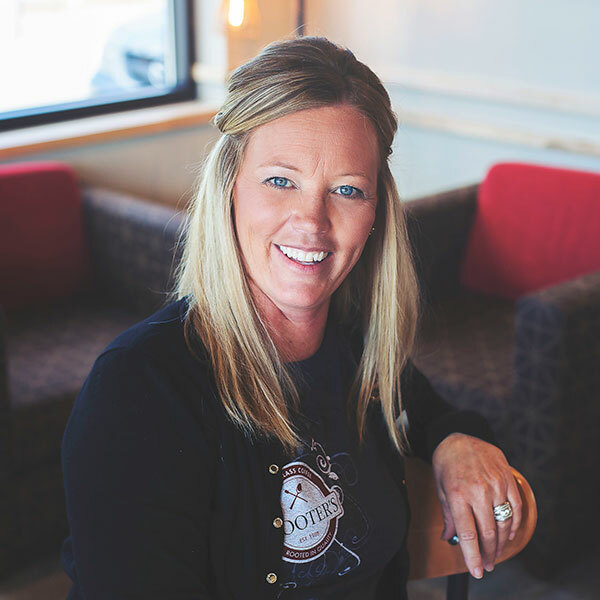 Thirteen years later, she is the brand's largest franchisee, with 37 coffee shops in four states (Kansas, Missouri, Nebraska, and Iowa). What makes Scooter's distinctive in a cram-packed field of coffee shops is that "we keep it simple," says Bouwens. "We don't use super-automated machines. We hand pull shots and steam milk by hand. That sets us apart in terms of quality of product. All that coupled with customer service--the right smiling faces in the drive-thru window--wows the customers. At Scooter's, our mantra is 'Amazing People, Amazing Drinks... Amazingly Fast!'" It didn't take long for Bouwens, who admits she's hooked on the Scooter's Americano with an extra shot, to realize that success would need to come from more than having a coffee shop where people come and hang out and have fun, she says. "I realized that you don't make money just having a grand old time. I'm thankful for the concepts I learned from the system. We focus on what matters--getting people through the drive-thru quickly. I thought I'd have to let go of that romantic side of having people come in and sip coffee." Her locations include both sit-down coffee shops and drive-thru kiosks, and a menu of drinks, pastries, and breakfast sandwiches. Her favorite business model is the drive-thru kiosk. "The drive-thru kiosk is a smaller build with fewer staff," she says. "It's just an easier model to manage." With units already in four states, she says there's still plenty of room to grow and plans to open six to eight more Scooter's in 2018. Her husband of 26 years, Shawn, now is a commercial contractor who handles her new builds. Bouwens is a lifelong student and an avid reader who attends leadership seminars to continue her growth. "It's important to be constantly learning, to grow and stay humble through it all," she says. Work is important, but for Bouwens family still comes first. "We love lake time with our family and make sure that we capture those moments on the boat and the lake. We're building memories, and as more grandchildren come, it'll be even more important," she says, adding that she spends time with her only grandchild every weekend. "That's too valuable. None of the rest matters if I don't have that." She also finds time to serve on the board of YouCanFree.Us, an international human rights organization fighting human trafficking around the world through advocacy, rescue, and rehabilitation. Washing dishes at a little restaurant near my hometown in Yutan, Nebraska. After washing dishes for a short time, I was promoted to server. I learned the lesson quickly that hard work pays off! My parents have been a huge influence in my life. As entrepreneurs, they have modeled for me what it looks like to walk in high integrity and morals in the business arena. They often encouraged me as a young girl to set high goals and not to settle for less. I had a sense of confidence they had instilled in me that I could accomplish anything I wanted to do. When I got married, it was like my father passed the baton to my husband, who has since become my biggest cheerleader. The encouragement I receive daily keeps me pressing forward in my daily goals. First and foremost, my biggest accomplishment was raising my three children. Training up children is a tough job, with no vacations. I am very proud of who my children have become as adults: honorable citizens contributing positively to our society. From a business perspective, my greatest accomplishment is building a team of amazing people who work alongside me each day at Freedom Enterprises, helping to grow our organization. Without them, I would never have been able to become the largest franchisee in the Scooter's system. They challenge me and make me better at my job every single day. Staffing our stores. This is, hands down, our biggest challenge. With unemployment rates so low and minimum wages rising, we find it more and more difficult to find the people we need to staff our stores. On a positive note, it is forcing us to be creative as we seek top talent for our company. When things become a little challenging, it pushes us to think outside the box, and that is where the status quo gets pushed aside while new ideas and methods are birthed. I look forward to the day we reach our 100th store opening, and I plan to continue to move forward in that direction. However, I'm excited about a new goal I have, which is to form a business with the goal of using 100 percent of the profits solely for funding safe houses for rescued trafficking victims around the globe. It's quite an undertaking and I'm looking forward to the challenge. My husband and I first became Scooter's Coffee franchisees in 2004 in Omaha. Within six months, we made the decision to move to Kansas City as area developers for the brand. Bringing Scooter's to Kansas City launched us on an adventure that included both trials and victories--an adventure full of learning experiences that would launch us into the success we are so incredibly blessed to experience today. Becoming a Scooter's Coffee franchisee. We joined the Scooter's Coffee family when the franchise was very young. Opening stores in the Kansas City market with a brand that was not yet known was very challenging. The early days were tough. But I'm so thankful for those years because that is where we learned so much about this business and about ourselves. We always thought we had what it took to persevere, but having to develop those "perseverance muscles" has made me who I am today as a businesswoman. I love being able to share those experiences with other aspiring entrepreneurs and being a positive influence in the marketplace. Typically, I work hard Monday through Friday and then enjoy my weekend. It wasn't always that way though. In the early days we worked long days to build our business. My husband and I worked shifts in the stores, alongside our employees, often seven days a week. I like to ride my Peloton stationary bike as often as I am able. As a young mother, my grandmother advised me to "enjoy the moments because the cobwebs would always be there tomorrow." In addition, a neighboring mother told me not to sweat the small stuff, pick your battles and let the rest fall to the wayside. Both pieces of advice have stuck with me, even into the business arena. The to-do list never ends. The issues or troubles of the day sometimes arise. But the most meaningful part of my life are those moments I get to just pause and look someone in the eyes, hit the pause button for just a moment on the chaos around me, and simply listen. That is truly "enjoying the moment" for me. People. I love seeing people on my team grow in their skills and talents. I love seeing them have that "ah-ha" moment and then rising to the next level of leadership ability. I love making a difference in people's lives, whether it is my employees, my customers or through philanthropic opportunities. I appreciate the blessings in my own life and believe giving back is the most important thing I can do. My day starts early (usually 5 a.m.). I start by sipping coffee in "my chair," reading a book, and quietly meditating on the day that lies ahead. Each day brings joy but also challenges, and starting in the right frame of mind helps me to make sound decisions. When the work day is over (and on the weekends) I stay disciplined, focusing on my family and my personal goals. It's easy to get sucked into working 24/7, and I did that for many years. I find that I am more productive when I keep boundaries between work and personal time. Wine. I just enjoy a nice glass of wine in the evening with my husband! I'm a big reader, so my next favorite book is always just around the corner. Because it is the 500th anniversary of the reformation, I am currently reading a book called Martin Luther: The Man Who Rediscovered God and Changed the World by Eric Metaxas. But my very favorite books are the John Maxwell books, particularly The 21 Irrefutable Laws of Leadership. We use John Maxwell materials regularly in training our management team to become excellent leaders. I currently serve on the board of YouCanFree.Us, an international human rights organization that is fighting human trafficking around the world through advocacy, rescue, and rehabilitation. We rescue women and children out of slavery and commercial sexual exploitation, provide psychosocial care and holistic healing, and help them to re-enter society. People who are late for meetings. My dream job would have been to be a surgeon. Early in my marriage, I decided to make a commitment to supporting my husband in his career while I dedicated time to our family. I believe all things happen for a reason, and I absolutely love what I'm doing today. No regrets! I traveled with my daughter last May to Mumbai, India. In addition, my husband and I own a lake house, which we use as our little sanctuary to get away for a few days on a regular basis where we just enjoy the beauty of nature and one another's company. Ivanka Trump. I love visiting with other strong businesswomen. I would love to hear in person about her business journey and lessons learned along the way, and how she manages to maintain her grace and dignity in the face of adversity. Treat others like you want to be treated (The Golden Rule), make all decisions through the filter of integrity, and never burn a bridge. Hire people smarter and better than myself, and then empower them to do their job with excellence. I believe in providing my employees with the tools they need to succeed, and when they make a mistake or experience failure, I want to be there to pick them up, dust them off, and redirect them back onto the course to success. Hiring and retaining staff. This has always, notoriously, been a great challenge for businesses of all types over the years. As a business owner, it is essential that we monitor the changes in our culture and society, the changing minimum wages, etc., and look for ways to adapt and find success in hiring and retaining staff. If we don't adapt, we will fail. Strong, confident, focused leader who strives to lead by example, yet humble and willing to admit when I am wrong. Getting better is a never-ending process. I often tell my team, "The day we stop learning is the day we should get out of the business and retire." It's not necessarily one thing, but rather an overall continual striving to grow as an individual and as a business. Marketing and new product initiatives. The marketing department at Scooter's does a tremendous job working with me, often on a daily basis, to strategize local marketing initiatives as well as grand opening marketing plans. In addition, I rely on the franchisor to roll out new products, whether they are a permanent addition or a limited time offer. Either way, it keeps our product line fresh and exciting for our customers. Competitive pricing. With rising labor costs, it is essential to the success of my business that we maintain or even reduce our costs in other areas. This is something we look to our vendors to help with. I think it is important to watch what is happening in the industry in terms of products, customer preferences, and technology. Technology has changed so much in the last 13 years. Today our customers mostly have smartphones, so having an app where we can promote products and customers can earn rewards has become useful and an essential tool. Social media allows us to communicate regularly and effectively with our customer base. It also allows us to receive feedback from our customers and respond to that feedback in a timely fashion. It is such an encouragement to our team members when our customers share positive stories of amazing customer service on social media. We interview constantly. Any time we find a great candidate, we find a position for them. Once we've made a commitment to hire someone, we also become committed to training and developing that person so they have an opportunity to grow their skill sets. On occasion, we end up having to part ways, but for us that is a last resort. The only exception to that is when there is a breach in integrity, particularly in the areas of lying, cheating, or stealing. We can help individuals grow in their talents and skills, but we usually can't change the core of who a person is in their heart. We have a pretty thorough training system. Our goal is to make sure that our team members feel fully equipped and confident in their role with our company. Retention, once they have been trained, is key. We are constantly reviewing our employee retention efforts. It starts with a company culture that cares for people. Life happens, both good and bad, and our goal is to be there through the journey with our team members. We want to be there to celebrate with them in their successes and be there as a shoulder to lean on when necessary. After all, we are family. We believe in clear and honest communication. Taking time to develop and train people is one of our core values, but you can't do that without being clear and honest. Our goal is to work with our team members to see them grow in their leadership and positional abilities. To do that, we try to be clear in our expectations but also helpful in our coaching and training. Dishonesty and lack of integrity. 1) Continue to engage and inspire our team members while strengthening our company culture. Culture is something that needs to be focused on and built upon continuously. 2) Open 6 to 8 new locations. 3) Double-digit same store sales growth. We measure our growth and success in several ways. First, we look at employee satisfaction and retention. 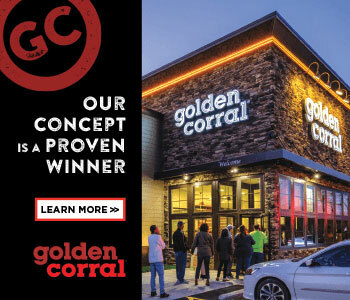 Once we have that, it lends itself to momentum in terms of increased customer counts, increased sales, and the ability to continue to open new locations with a solid group of team members. There are business opportunities all around us. As an entrepreneur at heart, I look to continue adding Scooter's Coffee locations over the next 10 years. In addition to that, my goal is to position myself to take on new opportunities as they arise. The economy is strong in the four-state region where our coffeehouses are located. The most difficult part of the economy for us is the low unemployment rates, making it difficult to fully staff our locations. Over the past 13 years, we have found that staying fundamentally committed to the operational core philosophies at Scooter's Coffee has allowed us to thrive in a thriving economy and press through in a sluggish economy. The key for us is to maintain focus on the daily things that matter in a successful coffeehouse. I read a lot about what is happening in the QSR segment and I study the data from our stores almost daily. The numbers coming from the stores also tell a story. If you study the data, you can make swift decisions through the ebb and flow of the economy, in management changes, and the need for training and support. For us, it's primarily been through our local bank. We have a great working relationship with our local bank and value their partnership with us over the years. We have experience with both private equity and local banks. Both have proven to be great resources for us as we have grown our business. We have a wonderful team of employees working for us and we appreciate them in so many ways. Our salaried employees enjoy benefits such as medical insurance, vision and dental insurance, long-term and short-term disability, as well as life insurance. We work hard to source a well-rounded benefits package for them, but more importantly we look for small ways to care for each person, right where they are in life. Rising labor costs are a reality. As we see minimum wages rising along with healthcare, we are analyzing every aspect of our business, including scheduling, to optimize efficiencies while minimizing cost increases. We work hard to analyze every line item on our P&L for cost savings. Through various methods. We routinely run competitions with prizes such as gift cards and flat screen TVs to keep things fun and lively. We also have an annual awards ceremony at our big annual management meeting and provide bonus opportunities throughout the year. I'm still young so that's not a priority right now. At some point, I'll want to retire, though I don't like being idle. I want to train and develop our employees to take on more responsibility, so I can eventually act in an advisory role. This would also leave me free for other ventures.